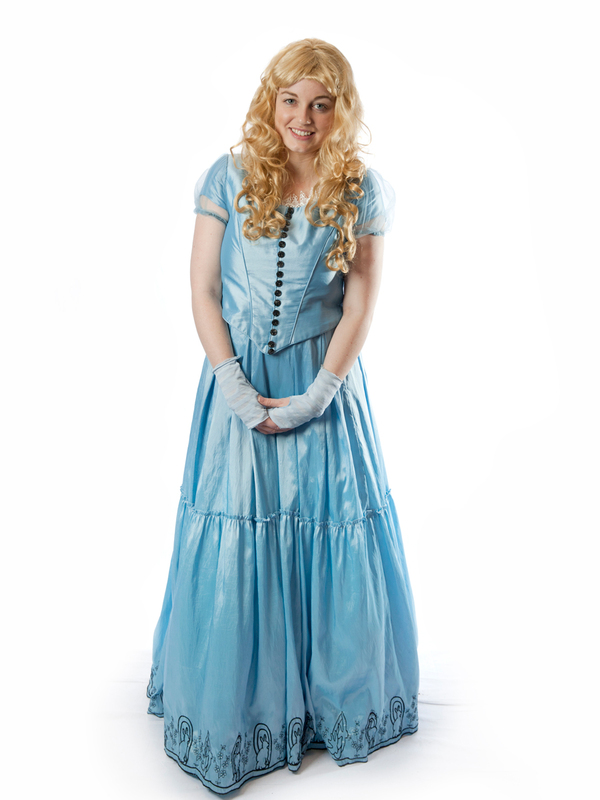 Beautiful Alice costume from the Tim Burton Disney adaptation of Alice in Wonderland. Costume includes full skirt, petticoat and blouse. Optional wig.